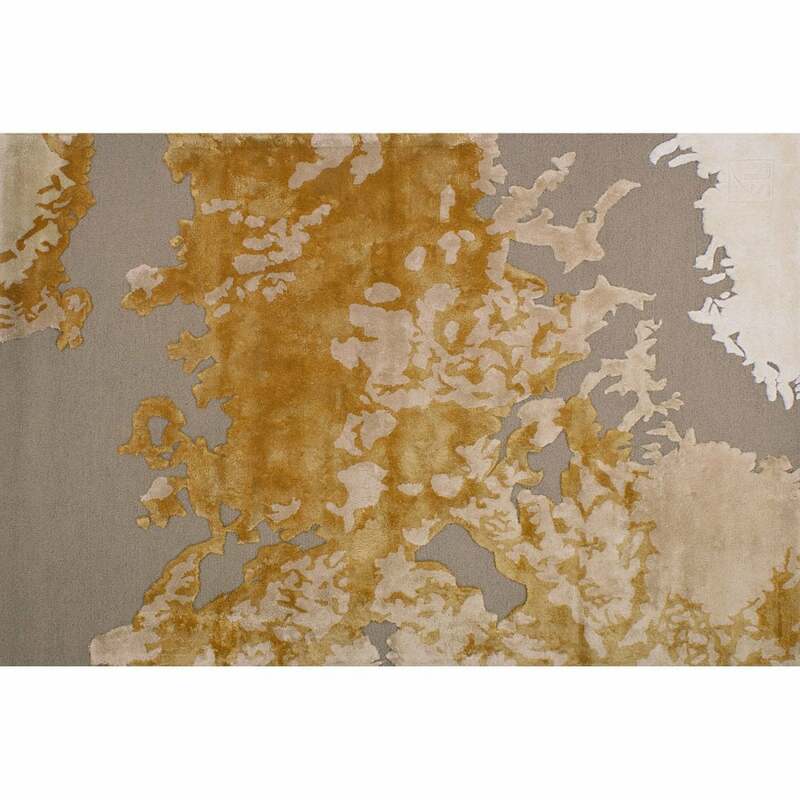 The Milos Rug by Serge Lesage will bring a gentle, spring like essence into your home. Featuring a signature motif from the Serge Lesage collection, each abstract shape resembles the sporadic shapes found in nature. Complementary hues of ochre and white lift and enhance the soft grey undertones. Hand-tufted from a wool and viscose blend, the Milos Rug is finished to the highest quality by skilled artisans. A must-have investment piece for any design lover, Milos will bring a contemporary touch to any traditional interior space. Available in both standard and bespoke sizes. Make an enquiry for more information.